Indoor air pollution is one of the most silent but deadly problems all of us face today. You may think your indoor air quality at home is fine. If you don’t smoke indoors or have any mold or humidity problems, you may figure your air is fine. This is unfortunately as you will learn in this article, a false assumption. Indoor air pollution kills more people each year than AIDS, Malaria, and Tuberculosis combined. The air we breathe is often something we take for granted. Before we go into the health effects from harmful indoor air pollution, let’s look at exactly what is in the air and why it is able to cause harm and then I listed 14 effective tips you can start doing today to reduce your current indoor air pollution problems or eliminate them altogether. Did you know that the average person consumes around 7 to 8 liters of air per minute? That’s around 11,000 liters or 388 cubic feet of air per day. This helps you see why indoor air pollution adds up to be such a major problem. 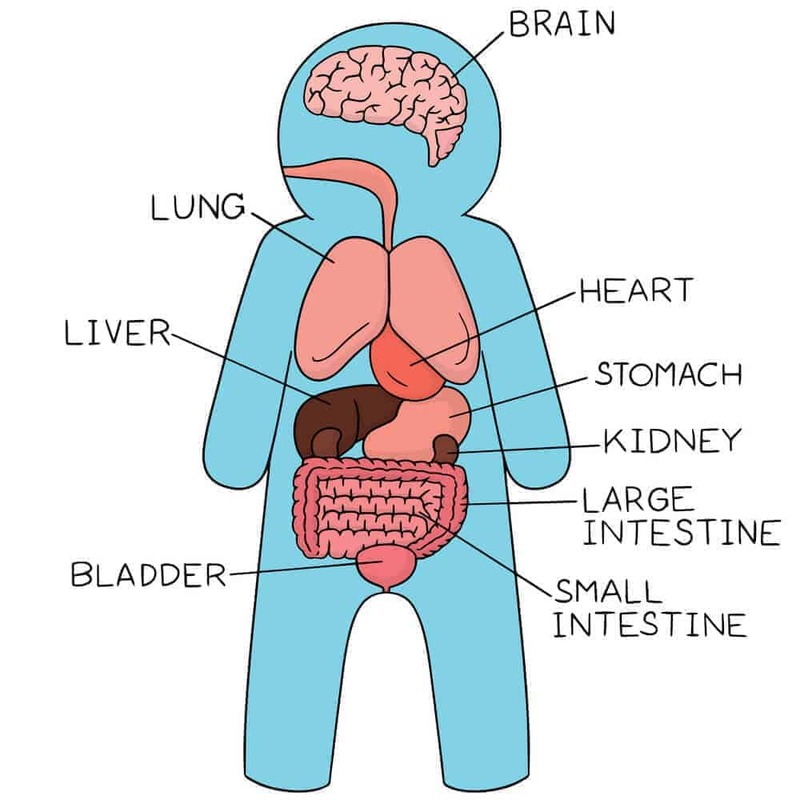 Each breath we take circulates air and all its particulates through our internal organs, from our brain to our bladder. From the saucepans we cook with to the hot, steamy showers we bask in on cold winter mornings, toxic chemicals are insidiously creeping into every part of our lives. We have our own detoxification systems, but our bodies can only take so much. Indoor air pollution is just one of the constant battles we face (think tobacco smoke, smog, chemical-laden foods, medicines, etc.). Indoor air pollution is worse now because of all the chemicals in all the products we use. These go into your body and affect your health in one way or another. From the saucepans we cook with to the hot, steamy showers we bask in on cold winter mornings, toxic chemicals are insidiously creeping into every part of our lives. Live Near The Freeway? If you live within 1,000 feet of a freeway, you have a significantly higher chance of suffering a stroke, or one of these other long-term health risks just mentioned above if you’re not taking proactive measures to protect your indoor air quality. Think You’re Safe From Indoor Toxins? The Environmental Protection Agency calls indoor air pollution one of the top 5 environmental risks to public health. Indoor air can be up to 100 times more polluted than outdoor air. You may think you don’t have an indoor air pollution problem in your own home, but the fact is, most of us have worse air inside our homes than outside. Even if you live in an area with wonderful air quality, the things in your house may be intoxicating you, slowly but surely. Indoor air pollution comes from the “off-gassing” of toxic fumes from certain materials that common everyday products and objects we have in our homes are made of. Without adequate ventilation, pollutants build and build. It’s already a problem that we spend most of our time indoors under artificial light. Once you realize that indoor air pollution is a major problem, you can start to change what you do, have and use at home and see significant improvements right away. Phthalates, formaldehyde and other volatile organic compounds (VOCs) outgas into the air and leach onto your body after breathing them in. These VOCs outgas into every room of our homes, day in and day out. Ventilation helps stop the build up, as well as removal and purification. Some products or processes emit gases into the air called VOCs, or volatile organic compounds. VOCs are ingredients that can be found in paints, varnishes, cleaning products and air fresheners and contribute to indoor air pollution. Beyond VOCs, there are very volatile organic compounds (VVOCs), which are gases that more easily evaporate into your air and may harm your health. The World Health Organization classifies certain gases including those from propane and butane as VVOCs. Phthalates: Watch out for off gassing phthalates. These are one of the more rampant ones. They are hazardous chemicals that are bad in so many ways. They’re known to cause hormonal abnormalities, birth defects, reproductive problems and more problems. Phthalates are oil-based. They get into your brain and nerves, and they’re hard to get out. Formaldehyde is used in the manufacturing of building materials like plywood and pressed wood. This is one of the worst contributors to indoor air pollution because it can cause cancer (source). Radon sneaks into a house from cracks and spaces, crawl spaces. Propane is in aerosols like hair spray, air fresheners and disinfectant sprays. It’s flammable, yet invisible and odorless. Not always listed on the label, when it is, it can be called dimethyl methane, n-propane and propyl hydride. Benzene is another bad one that is in everyday plastics, synthetic fibers, laundry detergents, automotive exhausts, paint, glue, pesticides and even pharmaceuticals. Ammonia is in fertilizers, window cleaners, and in overdue litter boxes. Trichloroethylene is found in printing inks, paint, varnish, paint remover and adhesives. These are some of the more common ones, but there are more dangerous indoor air pollutants to watch out for, including bacteria and viruses, dust mites, mold, pet dander, and pollen. Indoor air pollution comes from harmful compounds like the ones just mentioned above in everyday things at home, like your perfume, couch, and desk. Some you can smell, most you cannot. All of these contaminates can be controlled. All it takes is learning about them, then you’ll automatically start to improve your indoor air quality by removing and replacing them. Some of these can be brought in from outside. 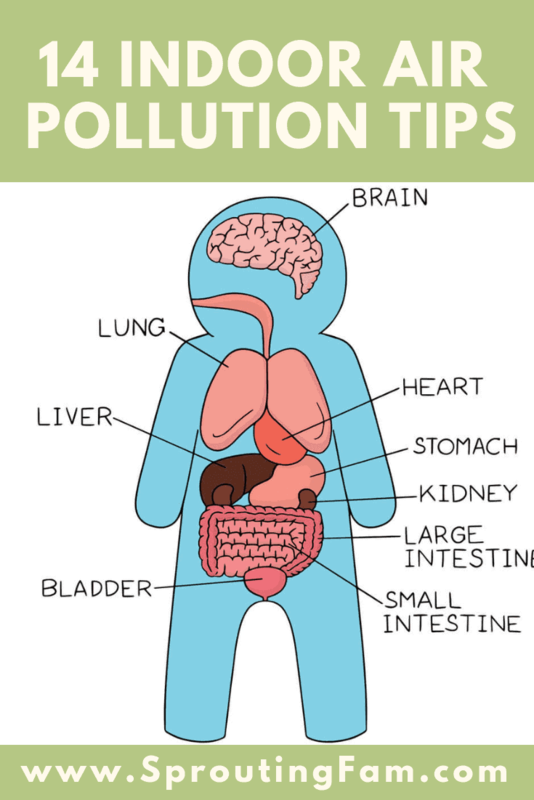 Here are some of the main known culprits of indoor air pollution. Air fresheners – these are horrible. Whenever Ling and I go to the movies I avoid their bathroom at all costs because they have an automatic air freshener dispenser that spits out a big fume of this stuff every 30 seconds… completely unnecessary since the bathrooms are already kept clean. Scented candles – These are horrible. More on that below. Colognes and perfumes (even expensive ones): Sadly, Hugo Boss and Aquadasio were always my go-to’s, but now I go the all natural way which of course includes utmost hygiene. I’m not talking “hippy-style all naturale” I should look into natural colognes. Do they exist? (Note to self: research natural cologne). Indoor smoke: Wood burning stoves, fireplaces, tobacco smoke and other smoke products (even ganj) can create indoor air pollution problems. Dry cleaners: Although they’re made to adhere to National PCE Air Emission Standards throughout most of the states, they still use Perchloroethylene (PCE). It’s banned in California. It’s a highly toxic gas that comes off the clothes as soon as you remove that plastic covering dry cleaners will always use. Indoor gas and more: Stoves, ovens, dryers all create gas in the air with toxins. Home furnishings: House-paint, carpet, furniture, upholstery, flooring, and building materials contain potential toxic fumes such like asbestos, lead and formaldehyde. We have another blog post that deals with the water side of the situation: How To Purify Water For Survival Emergencies (3 DIY Methods). We’re inhaling toxic chemicals at rates higher than ever before in human history… and we wonder why everyone has major health issues. The lowest hanging fruit opportunity to improve your family’s health is your indoor air pollution. Reducing this should be a focal point if you are embarking on creating a less toxic home environment for you and your family. It’s enough to battle the air quality outside your home in your day to day life. When you come home, you should have a sanctuary where you can rest your head and recharge with clean air to then get back out there the next day with a healthy head start. Avoid pressed board garbage cabinets – off gassing – REAL wood for cabinets is best. avoid OSB pressed plywood that off-gasses like crazy. Real plywood is better. Even having GMO foods in your home generates off-gassing EVEN if you’re not eating them and someone else in your family is. Off-gassing from the pesticides. It’s good to know that we can take control of any indoor air pollution problems in our homes. This means you have the full capability to improve your home’s air and reduce the impact of these and other indoor air pollutants. Below are 14 ways to make your air quality at home better. The best way to handle it is to just tackle each issue one at a time. First, you have to learn about indoor toxins and where they come from. Second, take the proactive measures to reduce and eliminate it. Air filters and purifiers work very good at improving indoor air quality and removing toxins in the air, so let’s kick off the 14 indoor air pollution solutions with the air purifier. Number one is air filters because they make a fast improvement in your indoor air quality by removing toxins and other impurities from the air. It’s wise to invest in a quality air purifier. Air purifiers, especially the ionic ones, help capture irritants from pets like pet dander. If that is an issue for you. The ionic purifiers are good for allergens. HEPA air purifiers are highly efficient – designed to trap 99.97% of all particles as small as .3 Microns. HEPA filters were first created around the time of the atomic bomb development in order to capture very small radioactive particles. Designed to trap 99.97% of all particles as small as .3 Microns. Gets the tiniest smoke particles and viruses, the ones able to penetrate deeper into your lungs. Ultra HEPA filters are a newer tech so you won’t find them as often. While Ultra HEPA filters are the way to go, they still don’t remove everything. They do not remove VOCs, toxic gases nor formaldehyde. These are what seep out and off-gas from building materials, paint and your furniture. What removes these? Activated carbon filters combined with HEPA. Filled with little pellets of activated carbon. Removes VOCs that outgas from building materials and viruses not caught by the Ultra HEPA. Helps remove formaldehyde when combined with a special type of mineral called potassium permanganate. Clean Air Delivery Rate (how much of a particular contaminate is removed from the air during a specific period of time) helps you to compare purifiers with each other. When looking for a proper air filter, look for an Ultra HEPA filter that removes all the main particulate culprits like dust, pollen, mold, bacterias and viruses. If you can find one with an activated carbon VOC filter then you’re golden. These are what remove the dangerous VOCs that outgas like formaldehyde and ozone. The 300 CADR rating purifiers are good for large rooms in your home up to 500 square feet or so. Air ionizer’s sound cooler than they really are, but they do help get rid of particulates and odors. If you live near the equator like we do, then this can turn into a mold problem.. one of the worst indoor air pollutants. Nothing can match the design of a plant when it comes to air filters. Indoor plants are the most economical way to filter out indoor air pollution. Molecules are always moving around – this is what creates the off gassing. Molecules never rest. Air filtration plants do filter out chemicals as well. The results show that plants can play a major role in removal of organic chemicals from indoor air. It’s good to have a plant within every 100 square feet in your home. Elizabeth Fern, English Ivy and others I haven’t learned about out there will also help clear indoor air toxins from your environment. Essential Oils For Indoor Air Pollution? Frankincense – Myrrh Antimicrobial Combo: Many essential oils like this combination, for example, are good to diffuse within your home. The Snake Plant (Money Plant) is my favorite because it’s the one my mom picked out for me when she came out to visit me in Thailand a few years back. Each year I’ve moved homes and it always comes with me wherever I go. The Dragon Plant/Snake Plant (so many names!) delivers deep oxygen, and when it’s in the bedroom can help you sleep better because of that fact alone. This article from Harvard Health says that indoor air filtering houseplants can collect and foster the growth of mold. It states that indoor houseplants for air quality can trigger allergies in many people. On balance, they create more problems than they help. I’m going to have to respectfully disagree even though he’s a doctor and I’m just a regular Joe. If you don’t see mold actually growing, and you’re not in a humid room with stale air that never moves, I think indoor houseplants are wonderful for their air quality benefits. 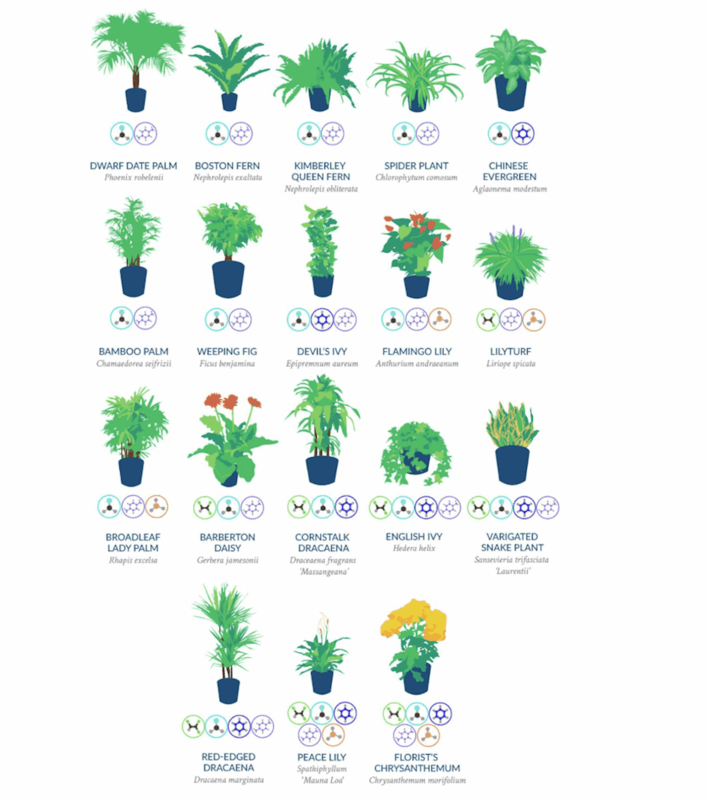 The NASA study found houseplants effective at removing formaldehyde, benzene and trichloroethylene; particles that not even a normal HEPA filter can remove effectively. Bathrooms can become so concentrated with indoor air pollution and toxins from common bathroom products alone. For this reason, it’s important to use natural bathroom products. Whole Home Water Filter: these are good to have, but not to rely on for drinking water. When it comes to the shower, it’s good to isolate the shower water (even if you already have a whole home water filter in place) to filter out all the chlorine. Shower Head Filter: This is an important filter to install due to all the chemicals within water itself. Steamy Shower Dangers: When you steam up a hot shower you are inhaling everything that’s in the water itself. Chlorine is not good for your thyroid. Neither are the other chemicals in the steam. Bath Water & Vitamin C: It neutralizes the chlorine and chloramines. Throw about a tablespoon of vitamin C in your bath water and it gets rid of the chlorine and chloramine. Cleaner: use a natural toilet cleaner and tile and grout cleaner. I use baking soda mixed with an essential oil and warm water. Shampoo: Use a natural shampoo without chemicals. SLS or Sodium Laurel Sulfate is the one to watch out for when it comes to what you’re putting on your skin. It’s not worth the suds. New Wave Enviro Shower Filter – any chlorine shower filter is great to use, but this one comes highly recommended and has great reviews. Plus, it’s not at a bad price. If you Google it, you will find many places to order online. Many in California don’t, but if you’re in a state that gets cold and requires a furnace, these are some enhancements to help reduce your indoor air pollution from furnaces. I’ve lived with a furnace in the past and never considered these. It was a central furnace amongst 6 apartments/townhomes in New York, so I couldn’t really do anything without a landlord anyways. Getting your ducts cleaned is important if you have forced air in your home. When hiring an air duct cleaning service you’ll want to make sure they do not use chemical cleaners. Ask, because often they will spray chemical cleaners in their to do the job. The chemical cleaners do help with eliminating mold, for example, but there are natural ways to handle this as well. If anything, just ask them what they’re using to clean and then research that cleaner before they start. We have a post on the site called 10 Natural Mold Killers That Work. Gas furnaces, gas water-based heaters, gas stoves and gas ovens: whoever’s idea it was to bring gas in the house… bad idea. A gas fireplace in your bedroom is not romantic, you might not wakeup. The off gassing will make you very tired the next day if you do, however. Technicians don’t have the right tools to measure or monitor particulates like formaldehyde. Gas stoves will fill your home with unsafe levels of formaldehyde. The only real solution is to cook outside or to replace the gas stove with an electric stove top. What about the fans for ventilation? These can work if they entirely cover the stovetop and work very effectively. What about induction stove tops? These types are nice for cooking, but it may possess it’s own set of chemicals that can potentially be released into the air. I will research this and update the post with information I can find. Watch out for non stick cookware that uses teflon. Or even the cheap ceramic ones. These produce invisible gases that are powerful enough to kill birds! Albeit birds have extremely sensitive respiratory systems, but that’s no excuse to allow yourself to inhale these same toxic fumes. Non-stick cookware is a big producer of indoor air pollution. And that doesn’t even include the oils which can create additional indoor air toxins. Indoor air pollution can also come from using high temperatures with low smoke point oils. These can create many “-aldehyde” type airborne toxins. Some companies make a coat that is able to SEAL in off gassing toxins. Safecoat is actually the name of the brand. It helps by sealing in fumes from toxic paints. What’s the big deal with paints? Even the paint that claim to be low in CRVs can be toxic. Instead of trusting a labeled “non toxic” paint, I think it’s smarter to grab some of this Safecoat sealant as well as a labeled “non toxic” paint. You have to be as proactive as you can when it comes to paint. If you paint, look for “low VOC paints” or “water-based stains” instead of oil-based stains which are unnecessarily toxic to us. No carpets is the way to go. Better options include hardwood, tile, or quark flooring. All these types of flooring are easy to steam clean too. Look for “low VOC” flooring. Carpets have so many potential problems, from mold growth after washing to the fact that they capture so many particles you don’t want in your home just from you walking on them. The two safest options for drywalling your home are Gypsum board and magnesium oxide board. Gypsum has been used as a building material since the construction of the ancient Egyptian pyramids. Over the past 3,500 years, or so, it has become one of the most important minerals used in manufacturing construction materials and many other products. This is the second best option for drywall in your home when it comes to indoor air pollution from off-gassing. It’s a newer, versatile material that is catching on in the states today. It’s been in use in Asia for some time. Magnesium Oxide is a newer material, so it’s the opposite of gypsum in that respect. In benefits it’s right up there with Gypsum. MgO boards actively prevent the growth of mold or mildew and are also environmentally friendly and non-toxic. These are great for drywall because they don’t off gas, however they still might “mud.” So you still have to be careful with them. Organic cotton with high thread-counts are softer and more expensive, but they are the healthiest solutions. Linens, towels and any materials that come in contact with your skin should be organic cotton. Another thing to look for is “dust mite” properties. An essential oil of Eucalyptus is perfect for this. You can put it on anything that a child plays with to be extra safe from them, such as stuffed animals or blankies. Pajamas and Sleep Attire: Often times, when it comes to a child’s clothing, they will spray them with “flame retardants.” This is probably one of the more ridiculous things that happen with baby clothes. Yes, it’s a great precaution. But to what end? Is it worth it? Flame retardants are harmful. They seep chemicals into the child which wears this so often through the night and day. Skin-tight wool may be one. This material has a natural flame retardant. Organic wool is one of the best because it won’t have flame retardants and is a bit more budget friendly. Nowadays they manufacture things, seal it with plastic and shove it int he corner. Before it would have off-gassed already but now they wrap in plastic and it off-gasses EVERYTHING on you. Your best off setting them in your garage to let it off-gas there. Or pay WAY more for something not mass produced. Latex and wool compound mattresses out there. Detergent is a main contributor to indoor air pollution. Ever feel itchy after wearing a freshly washed shirt or pants? It’s probably your detergent. SLS is bad stuff. We went over it above in the shampoo section. It’s not good for your skin. And it’s not good when it off gasses and gets inhaled. You’ll find SLS in ALL store-bought laundry detergents. It’s unavoidable with those for the most part. If you can find a good one, it should have zero fragrance and zero SLS. Make sure it’s truly fragrance free though. Many fragrance free detergents actually use an extra set of chemicals to mask any fragrance already present. If you cross reference the ingredients within store bought detergents to chemicals flagged by the EPA, you’ll see there are always chemicals included that are potentially cancer causing. Fabric softener and dryer sheets do spew out toxic chemicals. Not only does detergent emit harmful particles to create indoor air pollution, but your skin is your largest organ. It enters this way as well as through inhalation. Laundry detergent is designed to leave film on clothes. This is then seeped into your skin and inhaled. It contributes to your air quality wherever you go! Chemical indoor air pollution for laundry is really bad for men and especially for male babies. It contributes to reproductive issues..
1 of the most important things you can do is avoid flame retardants at all costs on all your products. Laundry is one of the best low hanging fruit things you can do for a toxic home transformation because your clothes are on you all day long and you are breathing it all the time. Just change your laundry products to decrease your toxic body burden by putting fewer chemicals in your body AND GROUNDWATER – and you don’t spend more either. Healthy Alternative To Fabric Sheets Or Dryer Sheets – these account for a huge amount of indoor pollution – toxic air with toxic phthalates – what makes fragrance stick. These are toxic and get spewed up into the air. Sometimes that smell sticks to people and makes it long lasting. That’s phthalates. When you smell second hand clothes and it still smells like their fabric softener 0 … this is bad. Essential oil like peppermint – put it on a tea towel. Lemon is good. Germ or mold issues? Eucalyptus is an anti viral. Hal fcup of the bulk vinegar – 1/3 cup makes clothes soft. Baking soda or Vinegar. Dryer balls (wool balls) are a great way to do it – just put the wool balls and essential oil …. For the smell. Do not buy synthetic based fabrics like fleece, polyester, or bamboo linens. Use organic cotton only. Why organic? Because the other stuff is GMO. In the bleaching process, there are a lot of chemicals in the chlorine family that are added to the cotton making process (organic 100% cotton is expensive and hard to find) – the chlorine chemicals are still there you can get them out, but these will usually not be sprayed with flame retardants like other chemicals. If you cant pronounce what is in your products and food, don’t use and eat – if you can’t pronounce it, it is probably not safe. GET triclosan off your soap. We should be concerned about mold. We can’t make antibodies for certain mold spores (and nothing shows in the tests). What this means is that people come down with autoimmune diseases like fibromyalgia, or chronic fatigue. But in fact it is not anything like this. It’s a mold illness. Mold is very dangerous. Home Depot sells “mold kits.” Mold kits measure mold spores at home, and these are available now. Mold remediation companies can help you find the root cause of your mold issues. However, they tend to use chemicals, so you can decide to clean it up yourself if it’s not too major. It’s good to use essential oils that combat molds. Eucalyptus essential oil is an anti-fungal. If you do not take your shoes off when you come inside, you can track in toxins. These are major contributors to indoor air pollution. Pesticides and herbicides are able to come into the house from kids and pets, both. These toxins are estrogenic. They stimulate your estrogen production. This is bad news. It can increase the risks of diseases like prostate, breast and other cancers and is horrible news for the reproduction potential issues it can bring. The traditional suburban lawn has 10x more chemical pesticides per acre than farmland. Another reason to have good air filtration plants in the house. It’s not that simple these days. Household dust today has chemicals and toxins, dust mite poop is highly allergenic, and soccer fields use turf, which has some health effects in connection (something with the metallic contents inside the pellets, possibly lead. Need to find that article.) with the little black pellets used on many turfs. The dirt at home on the floor is not just dust, so it’s important to keep this in mind when walking with shoes indoors. Avoid chemical bug killers – Boric acid works good when used around your home. Another great option is essential oils. You can make a nice smelling spray that naturally repels bugs. Electronics and Off Gassing: Printers can unload a lot of chemicals out to create massive indoor air pollution – especially in smaller rooms. The solution is to ventilate. If printing, open a window and point a fan out to push the air toxins out. Off gassing from computers is a problem too. If you get any new electronic, let it off gas out in the open for a while before using it too much. Wicks have lead. 100% Pure beeswax with a cotton wick is the way to go for health purposes. Soy candles are bad too. Beeswax also has a nice little smell of honey to it. That’s the only thing you really need. Good quality beeswax 100% cotton wick candles, and plants and flowers for cleaning and fragrance. For candles, pure beeswax with a cotton wick is said to be best. Pure beeswax unscented candles. Flowers are the best way to bring an aroma into the house. Plants clean the air and flowers add fragrances. This is the best way. Essential oils and aromatherapy seems good, but I’m not sure about burning essential oils. And for candles, with the pure beeswax with cotton wicks. Fragrances are not real. The scents are synthetic. They say synthetic scents create a large amount of endocrine disrupters and potential health problems. Use environmentally friendly household products. Clean and change your air filters regularly. Completely vent gas burning appliances to the outdoors. You know all those chemical cleaners? Don’t store them inside your home nor the garage. 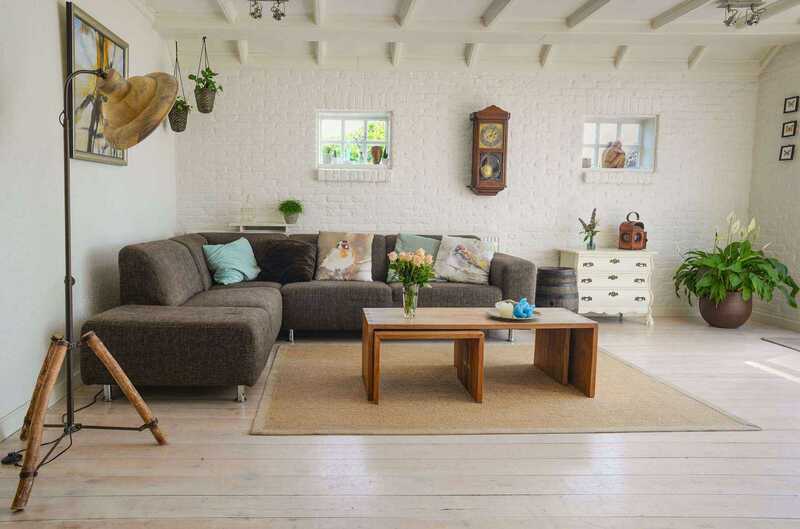 When furnishing your home, use “green” furniture. Use “low VOC” carpets and paints that emit less toxins than normal ones. For mattresses, natural latex is a good option versus the conventional mattresses which often are made from synthetic polyurethane foam which outgas a lot of chemicals. Use a good quality air purifier in all your home’s rooms. Avoiding Electro Magnetic Frequency Pollution. I’m including this one as it travels via the air. EMF Pollution can easily be #1 on this list as well. Saving the worst for last I’d like to say, but the environmental toxins and chemicals are up there with dangers to your human body and mind. Wifi opens up your Blood Brain Barrier (BBB), allowing metals to enter and pass through. This is dangerous stuff. These metals can lodge themselves in and then when to get in there, then radio frequency fields can carry energy and create voltage discharges in your brain. Sound crazy? Yes, it is. You really should not hold a cell phone to your head. You’re best off getting EMF reduction head phones and talking through those, or through speakerphone. EMF affects your DNA. But not only that. it affects your immune system health, fertility, your hormones and your circadian rhythm and sleep patterns. France just banned wifi in the schools – they know something. Reduce aluminum cookware, canned drinks and foods, aluminum antiperspirants, aluminum baking powder, get microwaves out of your home, etc. Use ethernet cables instead of wifi connection when working or browsing the net at home. There is fabric too – it has to be grounded.. to shield yourself while your sleeping. Put your iPhone on night mode all the time. Don’t let your electrical appliances flash blue lights in your face at night when you sleep. Even if it’s a small tiny light on something like an air conditioner or bluetooth speaker for example. Sound is a pollution too, but EMF and blue light do far more damage as far as I know. If sound is effective you, you might need to look into this as well. Train tracks, for example, give off sound that makes you have to process that sounds – without deep sleep your cardiovascular disease risk shoots up. Is Your Home Safe From Indoor Air Pollution? Do you use products that cause indoor air pollution? Are products you’re buying for building your home non-toxic? Did you know they do this? Many things contribute to an overall toxic environment right at home without you knowing it. Even if you’re tight on a budget, the simple act of removing the bad, and replacing in time with natural solutions will make all the difference. Here are some health reasons why you should consider doing this. From the invisible life crushers called phthalates to all the other chemicals floating around on everything, without really knowing how they affect us, plus the formation of new chemicals when they’re combined, and how those chemical cocktails potentially effect us.. still we don’t know many of these things. In a day where our livers are overworked from the toxins in the environment and food as it is, coming home to more toxic air should be unacceptable. Luckily, many of the things needed to improve indoor air quality are easy to do, free or budget friendly. Either way,Indoor Air: is a massive issue and it’s a good place to focus your “non-toxic home transformation” budget. …all GIVE OFF FUMES, Toxic Fumes. Fumes from all these things, the formaldehyde from furniture and carpeting. In the quest of creating a non-toxic home environment for you and your family, the lowest hanging fruit opportunity is the air in your house. Look at yourself like a bucket. many chemicals harmful to human health – known carcinogens. Roundup is everywhere. GMOs didn’t exist yet. Today we have frankenfood. Toxins in personal care and cleaning products – the cheaper the stuff, the longer the shelf life, but it goes on us, affects us then goes onto the water ways and affects our lives overall to the worse. WE CAN CHANGE THIS. A non-toxic house sounds expensive, but anyone can do this. If you’re looking to make changes to start being healthier, nutrition is important, but so is your indoor air quality at home. Start with your air. From toxic chemicals and fumes in the air to invisible electro magnetic frequencies and even blue light.. once you now the sources of your indoor air pollution, you can take the correct measures to stamp them out. Let us know if you enjoyed the article and if you have any more tips you think we should add to this list let us know in the comments! Get our new blog posts each month. Subscribe to our mailing list and get 1 email per month with home gardening updates and the latest posts on the blog. My name is John and I run this blog with my wife Ling. We do a lot of homesteading type stuff and enjoy gardening and growing medicinal herbs. I'm into prepping so I share info around that as well!